Another Heesen motor yacht comes on the market as I learn that Chris Cecil-Wright at Edmiston & Company has signed the 47m Sirocco for sale. Delivered by the Dutch yard in 2006, she's an all-aluminium tri-deck yacht built to ABS class and MCA compliant. An interior by Omega Architects sleeps 12 guests in six staterooms and twin 3700hp MTU engines give a range of 2,100 nautical miles at 15 knots. 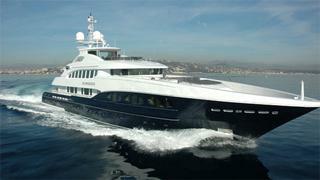 Asking €24.95 million, Sirocco is lying in Golfe Juan where her berth is also for sale.